I’m often asked about what makes some people good with money while others struggle. I could answer that in several ways, but let me do so by dividing the issue into two camps: the practical camp and the spiritual camp. Some people in the practical camp manage money well because they live beneath their means, save, invest and live generously. Then there are those who are in the spiritual camp, who know God intimately, and know his word and are obedient to it. Both these camps are generally good with money. The most fruitful person is the one who has their foot firmly in both camps and they implement sound practical measures as well as walk intimately with God. For this article, I want to focus on just one important Christian practice – intimacy with God. I believe that one of the biggest problems we have in western culture today is that we have millions of people in our churches who don’t really know God. Sure, many of them could quote a few bible passages and appear on the surface to have it together. But many people don’t really know God. That is, they don’t know His character, His provision, His power and who He really is. Intimacy with God leads to complete trust and dependence on Him for our provision. It means we understand that the money we have really belongs to Him and that we are His stewards using it for His purposes. Let me give you an example. In the morning, when my three kids wake up, they don’t sit around worrying if there will be food for breakfast, or lunch or dinner. They don’t worry about whether mum and dad will pay the rent or mortgage and where the money comes from to pay for their schooling. Why won’t they worry? They simply trust that mum and dad will meet their needs. It doesn’t occur to them that there might not be food on the table if the pay check didn’t arrive. Sadly, as we get older and enter the workforce, the worries kick in and the trust declines. We begin to doubt God’s goodness, his love for us and his willingness to provide. Events in our life seem to conspire against us and our faith wanes. We need to get back that child-like intimacy and faith and realise that we have a God that is able to meet all our needs. To understand His character and believe in our hearts this is who He really is. We need to understand His power. Despite chaotic world events, God is still on His throne and in control. Prayer – you were expecting that weren’t you? But how often do you pray? For how long? Do you stop and listen? God doesn’t want us to pray out of obligation, He wants us to pray because we love to spend time with Him. What I have found is that the more I do it, the more I want to do it. It has gotten easier and dare I say addictive! Spending time with God is not a Christian chore, it is essential to a thriving life! 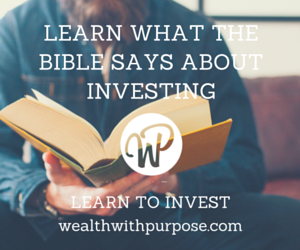 Word of God – To thrive financially and indeed, in every area of your life, requires that you know the truth. As Jesus said, if you know the truth, then the truth will set you free (John 8:32). So to know the truth and to live it, you need to read it! Hint: Read the Bible every day! Asking / Seeking – God’s word tells us we are to seek him. God wants to guide us and help us. We just need to ask. But when we get the answer we must also obey. Fasting – this is one of my favorites, and not often done in some Christian circles. Fasting is a big topic in itself. But let me say this: the combination of prayer and fasting is a great way to build an intimate relationship with God. Time – When you’re too busy for God, then you’re too busy! Time is a precious resource. If we knew just how powerful our prayers, we would spend a lot more time in prayer! I believe in supernatural time, that is the time you spend in prayer is more than made up with the outcomes from it. Putting it in another way, the more time you spend in prayer the more you will actually achieve. Everyday habit – Being intimate with God is not about going to church on Sunday, it is an everyday thing. God created us for a relationship with Him. I love Genesis 3:8 which talks about God walking in the Garden of Eden in the cool of the day. We were meant to dwell in the presence of God! Obedience – this is one of those words that doesn’t get talked about nearly enough. If we truly want to put God first in our life and to be intimate with Him, then we must be obedient to His Not occasionally, or when we feel like it, but always. Obedience leads to blessing. Some of the most successful Christian business people I know take one full day off per week from their businesses to spend it with God. They all put their success down to spending this time with God. Don’t mishear me. I am not saying you should spend time with God in order to become successful. I am saying you should spend time with the God that loves you because you desire it and want to know Him better and obey Him. The outcome of this increased intimacy will be a life of increased fruitfulness. For me, I get up each weekday morning between about 5 to 5:30am and go into my home office for about 45 minutes to an hour, read the word, worship to music and pray, and then each Wednesday I take half a day off to spend it with God. I am no hero let me assure you, but I find this time has helped my faith and I encourage you to build this into your life. My belief is that intimacy with God will lead you to become better with money. Why? Because the inevitable consequence of spending time in God’s word, devouring his wisdom, and seeking his guidance and being led by His Holy Spirit can only lead to one thing – great, God honouring decisions!